The holidays are just around the corner, and with the popularity and desire of handmade gifts many artists are giving extra, from free gift wrap to free gifts! That’s what is so wonderful about shopping handmade, you always know that buying handmade is always a special shopiing experience! 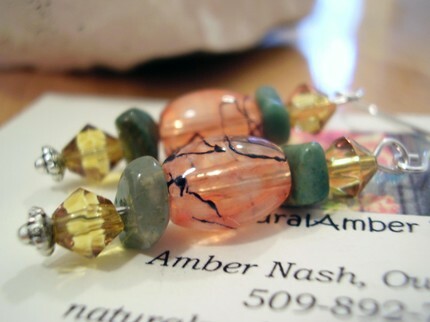 This year at Natural Amber Designs there will be different free gifts being sent with orders! Currently I am giving away a free pair of Pink Lantern Earrings, and next month will be giving away free bracelets! So what are other artists doing to spread the holiday cheer? Please see their comments below, as well as a link to their best selling item. Starting a home based handmade jewelry business? With the market being so competitive, it’s important to remember you need to invest in yourself and your business before buyers will invest in you. Don’t worry, you do not need to break the bank, and investing doesn’t mean necessarily in the means of cash, you just need to get your name out there and that often means you need to invest your time, a little bit of money, and continue to educate yourself in this highly demanded market. 1. Market Yourself. Yes, you finally made the step, you opened up your own website, your own ETSY shop, your own Dawanda shop….but you have no customers, what do you do? It’s important to get your name out there. Pass out your business cards, get friends and family involved and looking at your site, setup local flyers on grocery and bank bulliten boards. Do something. 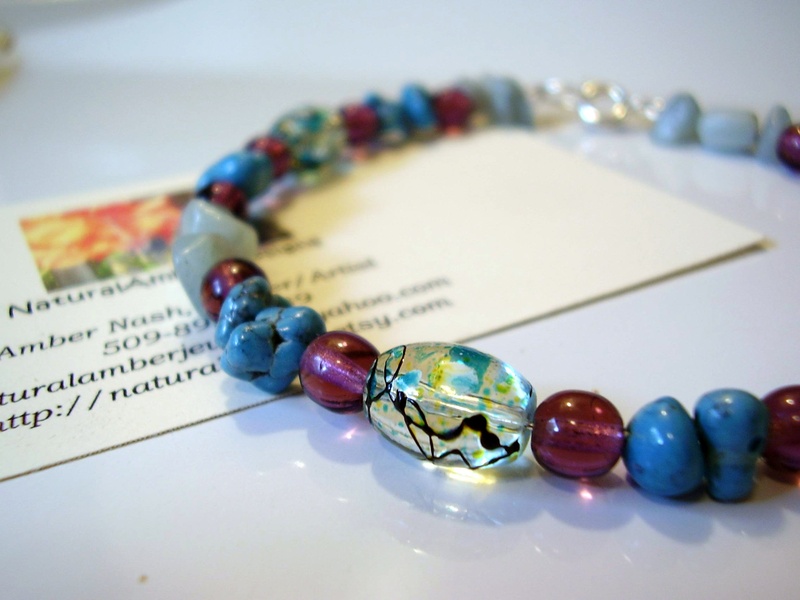 I try to set aside at least 30 minutes a day to market myself and my website NaturalAmberDesigns, as well as my ETSY shop. Some of the newest and most popular forms of marketing have been: Twitter, Facebook, ProjectWonderful. Myspace, Google Adwords, AdManager. 2. Research. Twice a week I Google. 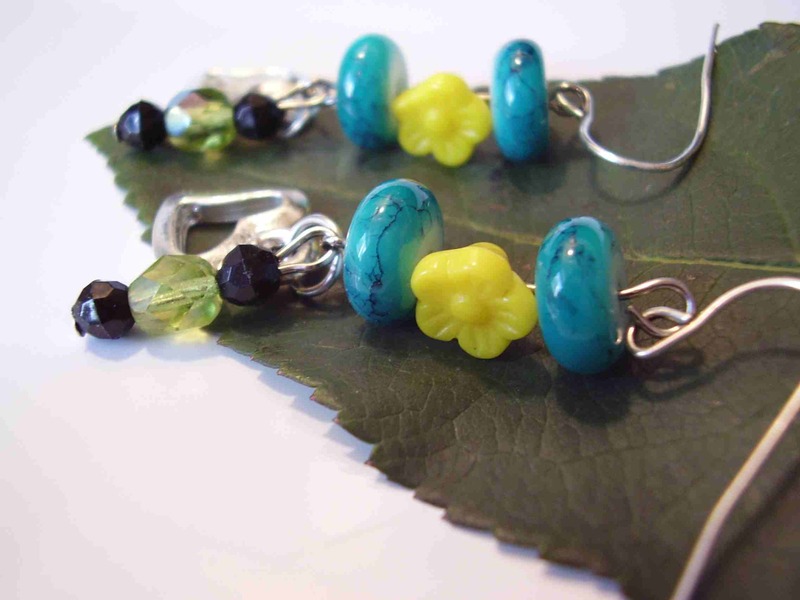 I Google for ways to promote handmade jewelry, customer service, setting myself apart from the competition. I make sure I stay on top of the game, introduce new ways to advertise and market, and ditch the things that aren’t working or pull back some of my time from the marketing that is working but not as much as expected. Marketing is all about trial and error, and you need to learn and constantly educate to grow successfully as a small business owner. 3. Network. Networking is huge, a good portion of it will get you the referrals you need for your business. Join groups. Join Chats. Join forums. Remember have fun, invest in yourself. Sometimes you need to spend a little to get a little in return. Bring people to you! Like the earrings in the picture? Please see them here in my online store. With the holidays just around the corner, looking for their perfect gift is a must! 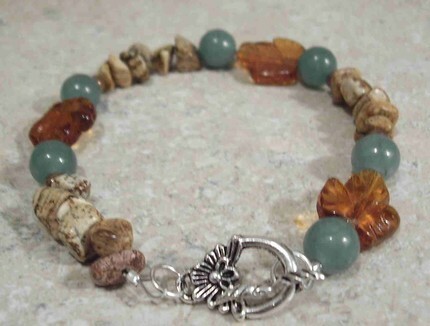 On my handcrafted beaded jewelry website http://naturalamberdesigns.com I now offer custom jewelry! Beads are added daily to the bead section, so you can now choose what beads you want in your piece. Make your gifts a little more personal, a make a very special gift for yourself. 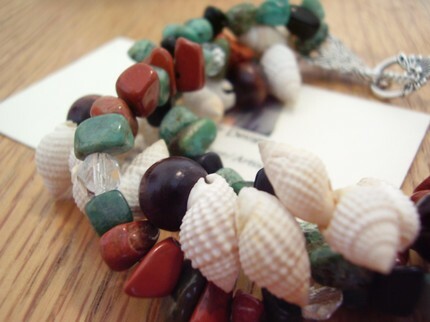 Please check out the custom bead gallery, or stop in at http://naturalamber.etsy.com to see beaded jewelry I offer. Receive a free pair of earrings with every purchase! Recieve 15% off all orders with 2 or more items. 1. Offer gift wrap with your order. Often times people may not want the item wrapped, but would appreciate gift wrap being sent with the item, and the item put in a nice little box. I know if I was buying I would opt out of the free wrapping but would love to have some beautiful wrapping paper sent with the order! 2. Offer a discount card for the buyer and the receiver. Perhaps 10% of their next order. 3. Set their expectations. Let your customer know by quick conversations that their order will be shipping by a particular date, that way they are in the loop for the entire transaction. The holidays are hectic, so put some of those stresses to ease with a simple note to them. 4. Offer a small free gift. I have been adding free earrings with my recent purchases. Something small is always appreciated and they may be able to keep those for themself, or give them as a stocking stuffer for someone else. 5. Send a Thank You. Small gestures are sometimes the most special, even better send a Christmas card. 6. Send Your Orders Promptly. I ship the next business day, if the holidays are busy I may need to extend that one or two days, but I am hoping to keep it at one day. Customers love that instant feeling, and especially during the holidays when they are excited about their purchases. Have fun, be courteous, and remeber that the holidays can be a stressful time for buyers. Ease their mind, and their concerns, and they will think of you later down the road when they are buying for themselves instead of a loved one. Setting up shop online, on ETSY, can be a lot of hard work and especially at the beginning. 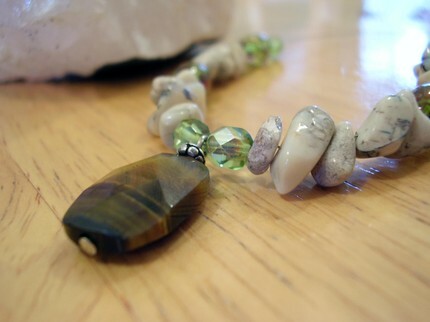 I have been a successful jewelry artist with my customers that I see at jewelry parties, or talk with on the phone, and the online world for me was a little scary and overwhelming. I was so used to the word by mouth and referral customers that I didn’t know where to start when it came to selling on ETSY, and I am still learning day by day. I hope the information I provide is this blog can help steer you the right way. 1. Have Business Cards With Your Etsy Shop On Them. Some of the most business you will get will be from who you know, and who knows you. A great step to getting your name and your ETSY shop out in the open is to hand out business cards that have all your company’s information on them. I have had a few people call me that I met while out on Karokee night, who said they absolutely love my stuff, and will be purchasing in the near future. You may not have immediate sales (also since it is summer, slower shopping season) but when they are in the market for a nice gift they’ll think of you and that card you gave them. 2. Start a Blog. Starting a blog is a great way for people to get to know who you are and helps potential customers find you. People love content, and they love knowing the artist behind the shop. Plus, it is a great way to educate people on what you know. Advice can go a long way in gathering new customers, so share what you know and you would be surprised how many people will just love you for it! 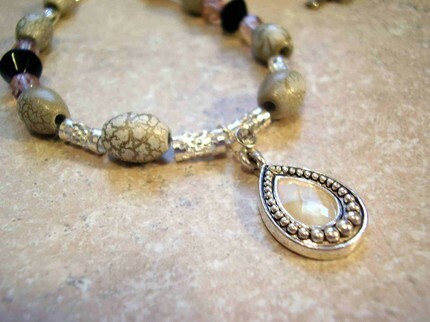 I enjoy writing in my blog, it makes me feel more connected with people interested in jewelry. 3. Market Yourself Through Social Networks. Social Networking Sites are a great way to market yourself online and also a great way to make a close niche of friends who have the same interests as you. It is also a great tool for marketing. There are intems on ETSY, such as ETSY Mini, you can add to your blog on MYSPACE or send out as a bullentin to all your friends. You can submit pictures on your site of some of your newest creations as well as blogs on your current projects in the pipeline. 4.Get Involved on ETSY! I think one of the best ways to get yourself known on ETSY is to be involved and make friends through Virtual Labs, Chat, and the Forums. Offer advice, and ask questions. These places are here to help you, as well as get to know you. Just remember sellers are also buyers, and the more they see your AVATAR in the forums the more likely they are going to see whats in your shop. There are also great places to go and promote yourself on the forums! They are one of my favorite places to visit on ETSY. 5. Showcase and Treasure Yourself. It is a great way for people to find you, especially if you are in the jewelry business and find your listings getting lost among the other talented artists. Have fun, promote, and get yourself out there. Having ETSY shop is suppose to be fun, but also remember to market yourself so people can find you. Jewelry parties can be so much fun, but who has time to host one for you when they are a working woman with little free time? The limited free time that they have is reserved for spending time with the family, getting together with their friends, and just having a moment of downtime. So what can you offer these woman who want to host one for you but just can’t pencil you in for three hours. The “Traveling Party”, is a great solution that can help them get free jewelry while feeling no pressure to overbook their life! So how do you run one of these? I like to call my party the “Traveling Jewelry Basket”. it is important when coming up with your own “Traveling Party”, that you do setup some written and verbal agreements with the hostess to ensure that if for some reason any of the product is lost, stolen, or damaged that you will be reimbursed for the loss. I have a simple written contact going over the details, that also includes all the prices for all the items in the basket. To determine how much free jewelry they are getting as well as how much money they received from the “traveling” party I give them a book of sales receipts, as well as an inventory checklist sheet. As they sale the items in the basket they can check them off, and write the total sold at the bottom of the sheet. That way I can easily figure how much free jewelry they received! I also include information for jewelry parties to handout to her customers when they buy as well as my card, and if they hold a party of their own, I make sure she recieves credit with a coupon to use on a future order once the referred customer has a party. There is so much you can do, and so much to offer with one of these parties! Make it your own, and find your target market. And like always, please remember to have fun! This season is going to debut with bright colors of purple, yellow, and green. It is going to be a fun season. Back To School Jewelry Sale! 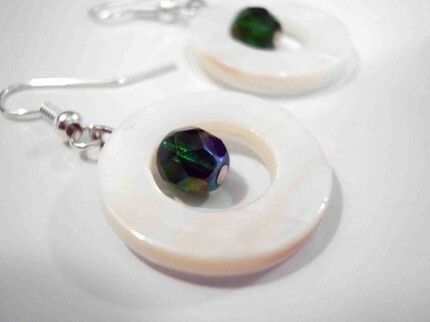 Please come visit me at http://naturalamber.etsy.com for my back to school sale! Go back to school in style……or use back to school savings as a great way to add to your jewelry collection with great shopping specials!